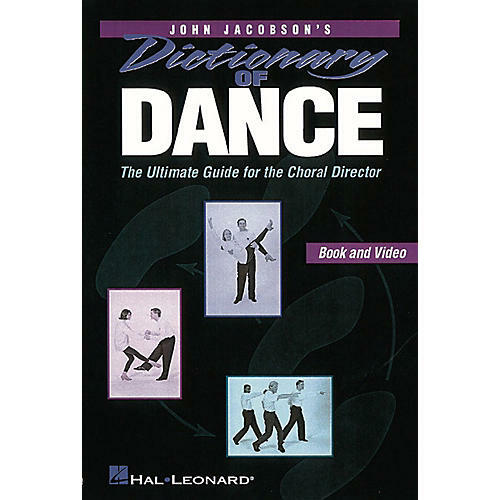 DICTIONARY OF DANCE features over 450 choreography terms, defined and demonstrated with the music teacher in mind. The movements are alphabetized and numbered for ease of use, with easy to follow definitions, diagrams and dozens of demonstration photos for further visual reference. The video features step-by-step instruction of these movements as demonstrated by John Jacobson and 4 student dance models, and presented in the same order as the book version for your quick reference. Sold separately, or together in a pak, this book & video reference is a must for your music library!